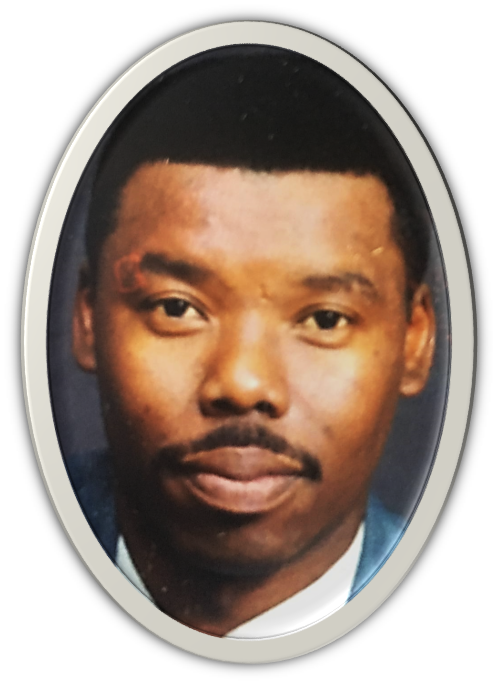 Deacon Edward L. Black, 58, was born on June 16, 1960 to the late Hurbert and Louise Black, Sr. in Ripley, MS. Deacon Black gained his wings on April 13, 2019 at Baptist Memorial Hospital in New Albany, MS. He departed his life being faithful, humble, and a loving family man. All during his illness, he continued to encourage everyone he came in contact with. He accepted Christ at an early age and joined St. John Baptist Church. In 1993, he became a faithful deacon until death. He loved his church and church family so much. He dedicated his life to living right and helping others. He was an encourager. No matter where he saw you at, he would talk about God. He attended Ripley High School where he participated in various sporting activities. Later, he attended Northeast Community College. He always wanted a better life for his family and he was an outstanding provider. On July 2, 1991, he married the love of his life, Sandra Love. Two children were born to this union, Cherie Black and Trevar Black, who he loved dearly. Deacon Black was a hardworking man. He was a faithful worker at Biltrite Corporation for thirty years. Later, he went to Cooper Tire in Tupelo, MS where he worked for ten years until his health failed him. He loved working outside and keeping everything clean and neat. He loved his family so much and was proud of them all. Daily, he expressed how amazed he was about his family getting an education. Even in pain, Deacon Black kept a smile on his face. He always found the good in everything and everybody. He leaves to cherish his memories: wife, Sandra Black of Tiplersville, MS; children, Cherie Black and Trevar Black of Tiplersville, MS; siblings: Hurbert Black, Jr. and Ethel Foote of Aurora, IL, Dorthy J. Black, Rilla (Martin) Girley, and Jimmy (Fannie) Black all of Ripley, MS; and one special uncle, Thomas Robinson of New Albany, MS; and a host of nieces, nephews, great nieces, great nephews, aunts, cousins, family, and friends. He was preceded in death by: his parents, Hurbert and Louise Black, Sr.; grandparents, Chism and Dritha Vance; sister, Debra Black; and nephew, Tito Black. Visitation will be held Friday, April 19, 2019 from 12 noon – 8 pm at Foster and Son Funeral Home in Ripley, MS, with the family present from 6 pm - 8 pm. Service will be held Saturday, April 20, 2019 at 12 pm at St. James COGIC in Ripley, MS. The body will lie in state one hour prior to service. Interment will follow at St. John Cemetery in Ripley, MS. Services entrusted to Foster and Son Funeral Home in Ripley, MS. To view and sign the guest registry, please visit www.fosterandsonfuneralhome.com. There's still time to send flowers to the Funeral Service at the St. James Church of God in Christ at 12:00 PM on April 20, 2019.